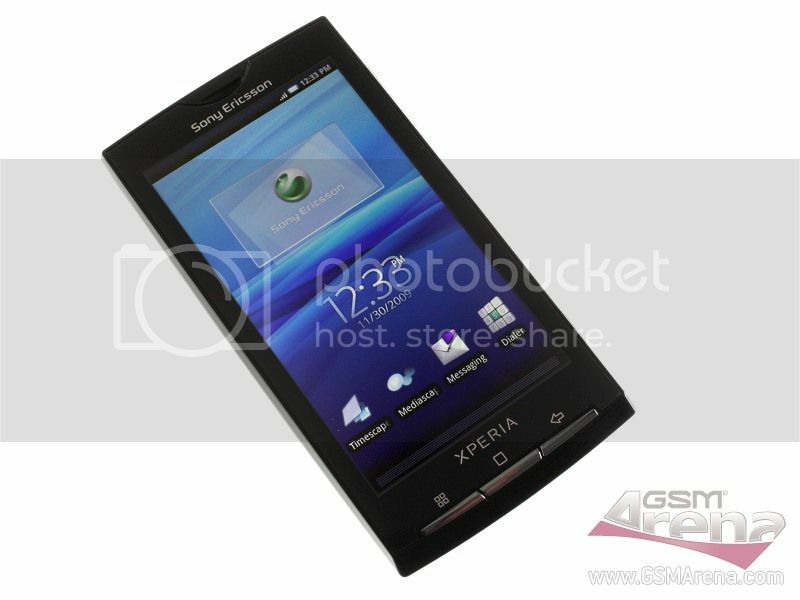 Following on from their brief photo/video sample tease yesterday, GSM Arena has released its full preview of the Sony Ericsson Xperia X10 smartphone. They came away with positive impressions and feel that the Android handset is full of potential. The powerful hardware and 4-inch screen will enable it to stand up to the competition early next year. The Timescape and Mediascape user interfaces were also praised for their completely new Android user experience. It could even rival the HTC Sense UI in due course. However, they feel that a lot of work is needed before its launch in a few months time. Click through for a summary of the key preview points. The design is described as “pretty standard”. The build quality is good with the black model’s matte plastic back being quite fingerprint resistant. The rounded edges are a nice aesthetic touch. The 4-inch screen is a “treat” with great picture quality, despite the 65k colour limit of Android 1.6 (Donut). Sunlight legibility was the best seen on a Sony Ericsson handset and even rivaled the Apple iPhone. Screen sensitivity is very good, a slight touch will register the command. The three physical buttons below the display offer good tactile feedback. The microSD card is not hot-swappable as it sits behind the battery. This is a bit frustrating. The Android implementation comes with three homescreens and a single menu that holds everything. They felt that the Timescape and Mediascape applications are still not ready for primetime yet. The Xperia X10 will not use multi-touch gestures on launch. Maybe this will be rectified with Android 2.0. A third-party browser like Dolphin could always be used to get round this. The camera interface has been designed from scratch. The left column has five options (capturing mode, resolution, scenes, focus mode and camcorder switcher). The right side allows you to change the exposure compensation and access the camera album. There are also four capturing modes and five focus modes. A photo bar is included at the bottom that shows the last pictures taken as small thumbnails. Even at this pre-release stage, photo quality is very good with excellent colours. The camera lens has no protection, however it is recessed to avoid damage. The Xperia X10 can capture video at WVGA (800 x 480) at 30 fps. Touch focus is also available.